Mission Bay Aquatic Center Blog: Camp registration opens February 1! Camp registration opens February 1! 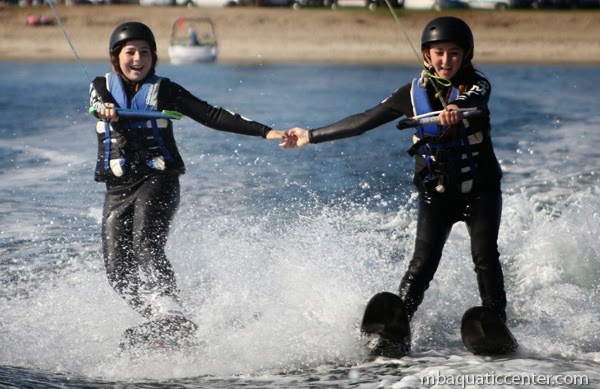 Registration for the 2014 camp season of The Watersports Camp opens on February 1st. Register early to ensure your spot in our most popular camps! The 2014 season will consist of two spring camp weeks, running March 31 through April 11, and twelve summer camp weeks, starting June 9 and finishing August 29. We are excited about our new Intro to Watersports Camp for campers ages 6-8 and for our second year of the stand up paddling camp, which many campers enjoyed for the first time last summer. We are also happy to welcome our Camp Supervisor, Scott Grant, in his new year-round role at MBAC (read more). As always, our wakeboarding and surfing camps will be more popular than ever, so be sure to sign up early to ensure your spot! For campers who will be 14 years or older after June 1 and want to participate in the Counselor-In-Training (CIT) program, the mandatory orientation dates to select from are now posted on the CIT page at watersportscamp.com/cit. The orientations are designed to answer all of your questions about becoming a CIT. There will be an option to attend an in-person orientation at MBAC or an online webinar orientation. We are looking forward to another great season that will be here before you know it! See you soon!